" In a country like Nepal, which is rich in natural resources and if prepared indigenously, the medicines can be easily available and the cost can be within the pay of a common Nepali citizen. In more than 90% places of our country the diagnostic and pathological investigation facilities are not available. Homeopathic health centers in such areas can be very useful." The occurrence of top ten diseases published in the Annual Report by the Department of Health Services represent the typical mix that is commonly seen in any country in South Asia, but the basic difference is in the availability of different systems of treatment in Nepal vis-à-vis other countries of this region. It would not be an exaggeration if we say that Nepalese do not know any other forms of treatment other than allopathic. It is not only a matter of disappointment for people like us, who are practicing homeopathy and want to see it develop as a parallel system of treatment in Nepal, but is also a serious issue to be addressed by all concerned governmental, nongovernmental agencies of Nepal and also the WHO. For most of the Nepalese, options of other system of treatment are almost nonexistent, and as a result they are forced to spend their hard earn money in costly allopathic treatment. There is no need to mention here about the occurrence of such common diseases in an average Nepali family. Lack of education, poor sanitation, scanty health facilities, water pollution, poor nutrition and environmental pollution simply contribute in incidences of average Nepali falling sick. The cost, which Nepalese are forced to bear due to lack of availability and promotion of other systems of treatment, is huge. Hundreds of children and women are forced to die every day in Nepal, simply because allopathic medicines and treatments are out of their reach. On the other hand those who somehow mange allopathic treatment and those who can afford it are paying a different price. Use, overuse and abuse of allopathic medicine are doing a serious damage to the immunity and organs of our body. In Nepal even educated people and medical professionals are found abusing allopathic medicines. The damage, which has already been done, is in fact beyond repair. We, as a practitioner of medicine sometimes are dumbfounded to see how quickly doctors switch to higher potency drugs without even realizing that it affects our system and damages your organs. Poor people, who represent most of Nepal’s population, can’t afford costly medicines, but why those who are educated and able to afford are abusing it. Of course lack of medical sense and consciousness has to be blamed. But the fact remains that allopathic treatment is a costly fad for majority of the Nepalese, and other forms of treatment like homeopathy needs to be vigorously promoted. Homeopathic medicines are cheap in cost and easily available all over the world. In a country like ours, which is rich in natural resources and if prepared indigenously, the medicines can be easily available and the cost can be within the pay of a common Nepali citizen. Moreover, as the homeopathic treatment is based on symptom similarity, many common illnesses can be cured without diagnostic investigations. In more than ninety percent places of our country the diagnostic and pathological investigation facilities are not available. Homeopathic health centers in such areas can be very useful. Until a few decades ago in our part of the world there were practically very few or no qualified doctors in this field and the treatment in homeopathy was usually done by just referring to Materia Medica (the book with a register of homeopathic medicines and their symptoms) or matching the mugged symptoms with the patient symptoms. Even now a large number of unqualified doctors are involved in this field. This is the main reason why homeopathy has been considered as a second class citizen in the field of therapeutics. A separate department/ faculty can be opened in different district hospitals, nursing homes, clinics and teaching hospitals to give maximum exposure to the people. After the inclusion of this system of treatment parallel with allopathy as a different department / faculty, it has been realized as a perfect complimentary therapeutic practice to each other. Realizing that allopathy and homeopathy are complimentary to each other, allopathy can be taught and practiced in a homeopathic medical college, and similarly homeopathy can be taught in an allopathic medical college. It is not a unique recommendation for Nepal; in fact this is already in practice for more than 20 years in many other countries across the world. 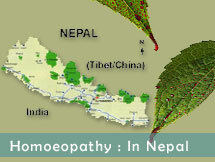 In Nepal, homeopathic treatment should be encouraged in areas where people do not have much access to other facilities for treatment. But the reckless and unspecialized recommendations of the homeopathic treatment and medicine in this way seriously undermine the sanctity of medical profession. The tendency to consider homeopathy as a second grade treatment system should be corrected. People should be taught to value this form of medicine. The best way of doing so is by dropping every kind of prejudice against this system of medicine and giving it due recognition as a system of scientific treatment and not a hostile system to any other forms of medicinal system.